Midtown Madness 2 Central | View topic - MM2C:TA Help Required!!!! Midtown Madness 2 Central > Post Your Project > MM2C:TA Help Required!!!! Okay cool, Stampy have you got a Camo paint job? If not i'll try to make one in paint and then import If that can be done??! So far i've got a basic box but i've made it in the latest Z Mod and it doesnt export for MM2 so do i need a different Z Moddeler? if you want to import from Zmodeler to MM2, that is impossible. even i, a non-modeler, know that. you need a script for that, tuning, a import programm, and maybe more things. you can't just import something from a modeling programm to a game. or did you ment something else? that is a part i get. it doesnt export for MM2 so do i need a different Z Moddeler? by this i think that he wants to export it directly to MM2 fromout ZModeler. or am i missing a part? started to the details . still have to the tracks but have a doubt . can tracks work in mm2 ??? the texture is very blurry. but teh model looks good. and i think that tracks don't work. but i think that some-one else knows that better. 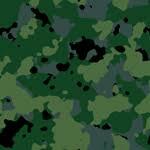 so do have any camo textures??? and i'm sorry about the lack of pictures and stuff on my part, its cause the school i go to has banned all picture hosting places and all web hosting places but!!!!!!!!!!!!!!! i may be getting the internet at home for christmas so i may suddenly be able to host pictures of my Z mod mess of a truck, its not great and its a box thing, infact does anyone have a great tutorial for ZMod?????? With hints and resource links???? Good luck with the exams, i've got my mocks loomiming so revision is high on the agenda! I've yet to get info on the other guys modals, but we've got one decent model in the bag, keep up the good work mate!